"The Death of Stalin" aims to make fear funny. Russian strongman Joseph Stalin dies, and the purge begins. This story boils down to a contest between Steve Buscemi as Nikita Khrushchev and Jeffrey Tambor as Deputy Director Georgy Malenkov with Stalin's enforcer Lavrentiy Beria as the surprising odd man out. This film comes from "Veep" creator Armando Iannucci. 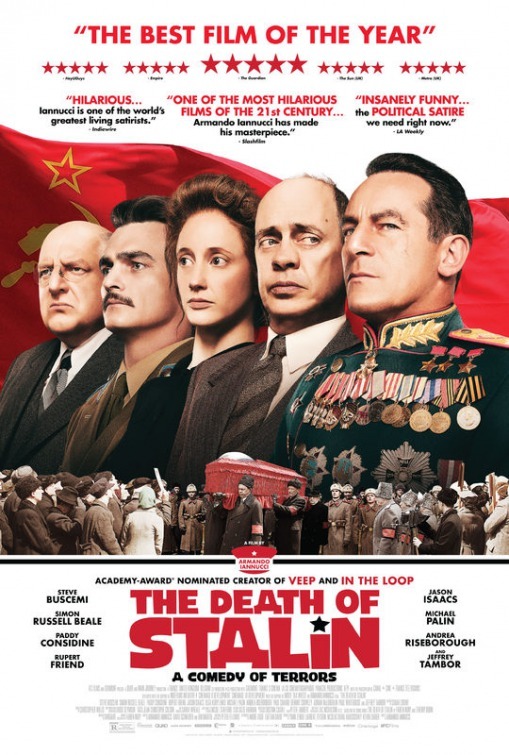 Like "Veep," "The Death of Stalin" goes long on dialog and short on visuals. Sometimes it feels like a play, but a brilliant one, leading to a conclusion that gives new meaning to "so funny it hurts to laugh." Stalin demanded complete loyalty from a chaotic chorus of underlings. Read what you wish into this compelling piece. 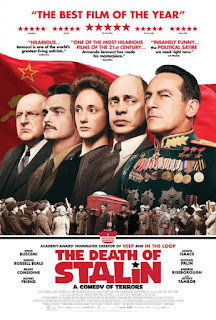 "The Death of Stalin," rated "R," 3½ stars. Does it deliver what it promises? A comedy about power in a totalitarian state. Is it entertaining? Thought-provoking. Is it worth the price of admission? One of the year's best.